Fig. 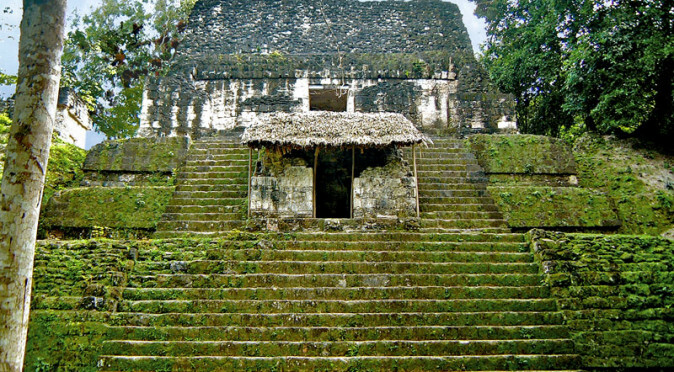 W0821 – Temple 5C-49, within Mundo Perdido complexStructure 5C-49 within the Mundo Perdido (Lost World) complex is also know as the Talud-Tablero Temple thanks to its architectural style. The “Talud” is a steeply sloping wall, whilst the “Tablero” is a table-like right-angled protrusion. A tablero normally sits between two taluds and is a style that is largely synonymous with the architecture of Teotihuacan. 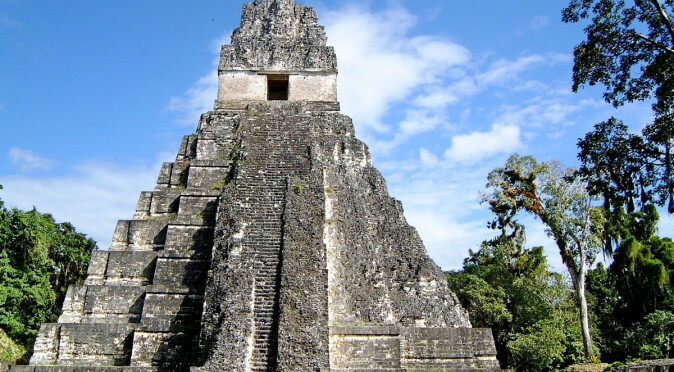 It is the only temple found at Tikal which uses this style, leading many to believe it was influenced or perhaps even built by the people of Teotihuacan. 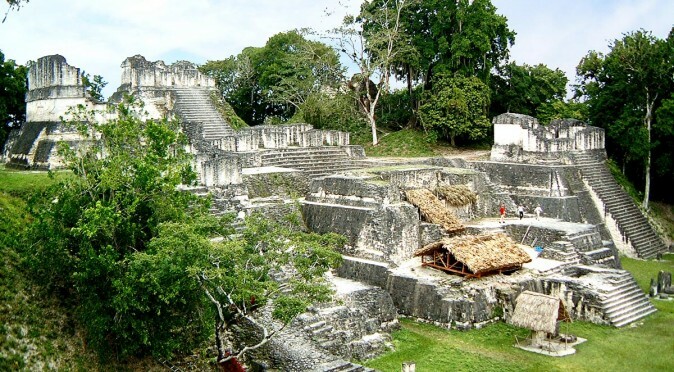 It was not unusual for other Mesoamerican cultures to have buildings and temples situated in remote cities that they traded with, a bit like a modern embassy or or a foreign church. The Teotihuacan were also thought to have had buildings at Monte Alban, whilst the Maya were believed to have buildings at Xochicalco and the Zapotec had buildings at Teotihuacan – so all over Mesoamerica there was evidence of expat communities. 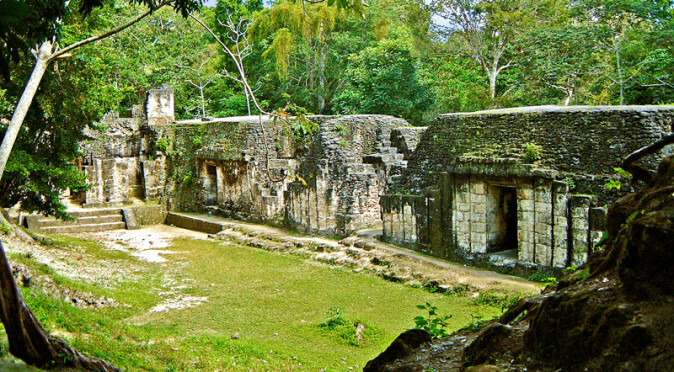 The ruined temple stands 22 metres high, and has the remains of the temple that comprised of three corbel-vaulted rooms. 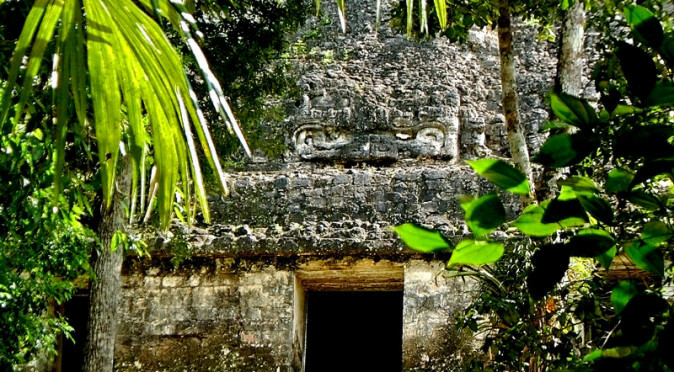 The temple was topped with a “roof-comb”, but the had collapsed into the front two chambers when archaeologists arrive. The third room had become a fitting home for a jaguar and was littered with animal remains. 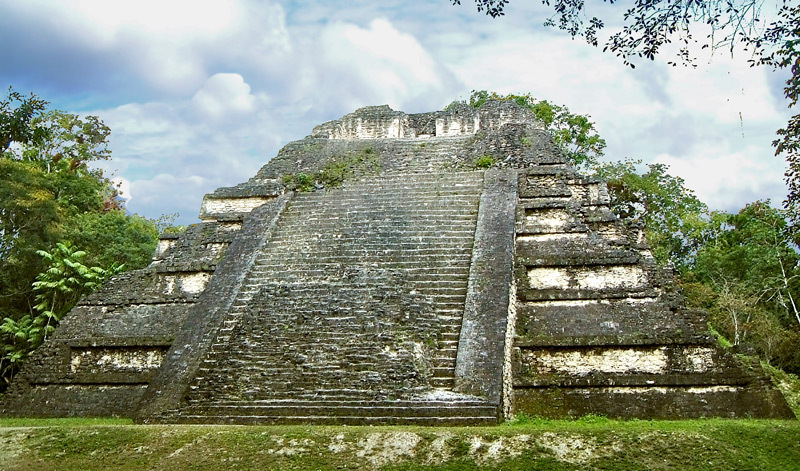 The temple was first erected in the 3rd century and reached only 7 metres high. It used a more simplistic unframed tablero style with vertical walls, but without the horizontal “table-top” protrusion. 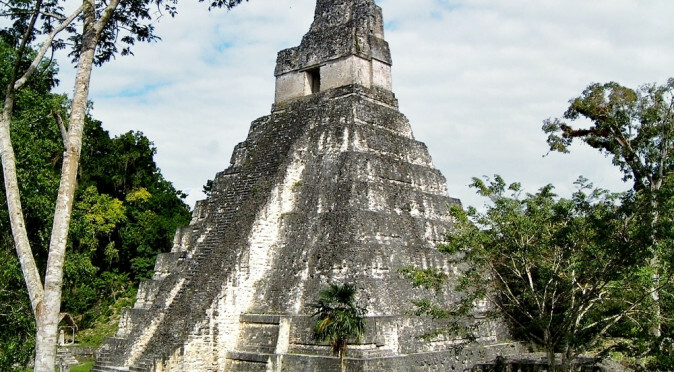 The second phase of construction added framed tablero façades to the front of the pyramid apart from for the final tier, where they extended all the way around. 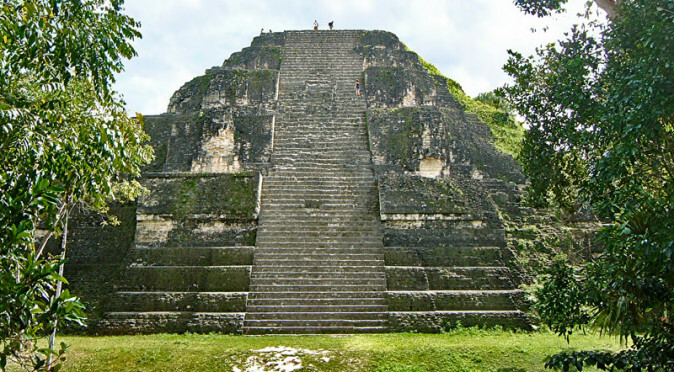 The third phase added and additional fifth tier, but the fourth phase reverted to a four tier design, although they completed the talud-tablero façades on all sides of the pyramid. It wasn’t until the fifth phase, between 550 AD and 700 AD, that the temple and ornate roof comb were added to the top of the pyramid, so up until that point it would have remained in keeping with the Teotihuacan style. 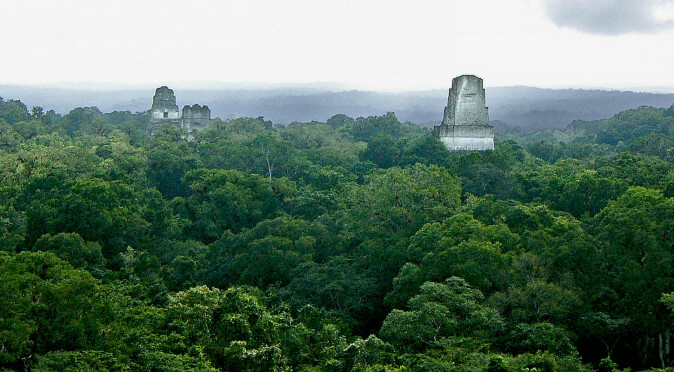 The final development of Temple 5C-49 coincides with the construction of the other major temples at Tikal, for which it is now famous. It also appears that Temple 5C-49’s purpose changed as three elite personages, two male and one female, were buried within the structure between 769 AD and 794 AD, along with some extremely fine offerings which suggest they may have been royalty. 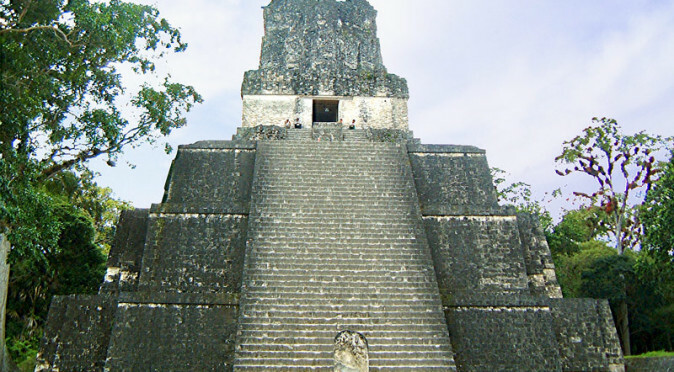 Tikal Group G is known as the Acanaladuras Palace because of its unusual pseudo-column façade and dates to the reign of Jasaw Chan K'awiil, c.734AD.